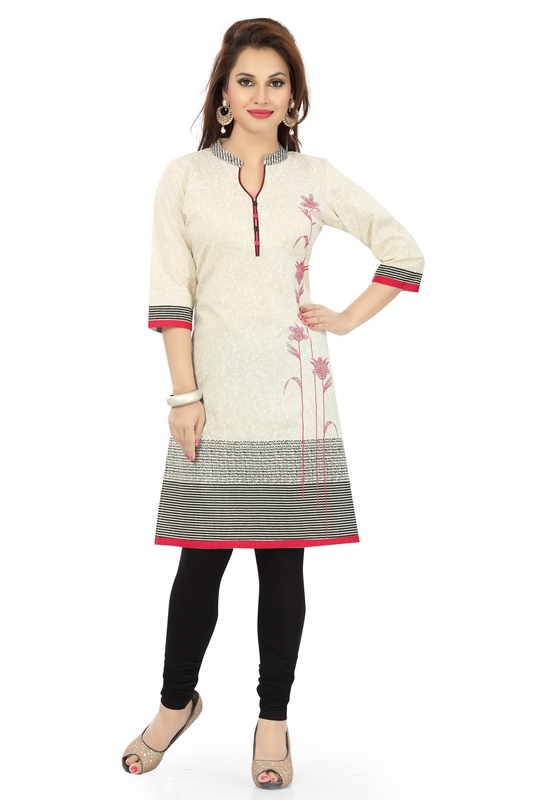 Adding an oomph factor to your casual wardrobe is this stunner Simple Sizzles Off-White Cotton Short Tunic for Women from Snehal Creation. A captivating arrangement of abstract prints on different sections; this one carries stripes both bold and hazy and some floral patterns. 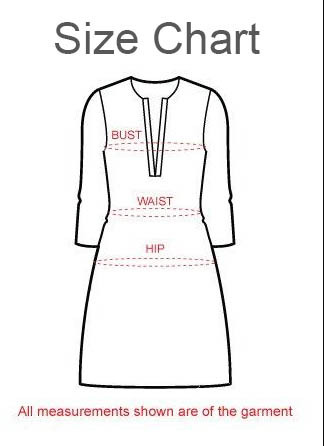 Made to have Chinese collar with buttons and three quarters of sleeves, this tunic is a perfect day wear option for any fashion forward woman. Question: What is the price ? Answer: You need to register to get access of wholesale prices.